Wild Gambler was a well-received African-themed slot when it was released by renowned developer, Ash Gaming, and this second installment in the series keeps the reputation of the series alive and well. This next edition of Wild Gambler - Arctic Adventure - takes us to the Arctic tundra where the lions, zebras and hippos are replaced by moose, walruses and penguins…wait, aren’t penguins only found in Antarctica?! Anyway, OCD details aside, this 5-reel, 20-payline slot has all the makings of a successful sequel slot. The polar bear symbol acts as the Wild and substitutes for all other symbols except for the Scatters to complete winning combinations. The Scatters are represented by the silver coin symbol. This is the pivotal symbol that triggers the free spins bonus round. You must hit three or more silver coin symbols to trigger this bonus feature and depending on the number of silver coin symbols you trigger the free spins bonus round with you could see yourself being awarded 7, 12 or 20 free spins. All Wilds will remain frozen in place during the free spins and any new Wilds that appear will remain frozen for the remainder of the free spins. This Freezing Wilds feature is present throughout the game. You have the option to freeze the position of any Wild that appears on the reels to try and increase the potential winning combinations. You can also increase the multiplier value of any winnings triggered by that frozen Wild. However, it will cost you and your bet value will increase with the more Wilds you freeze and the higher the multiplier value is. There is also a 'Play Your Way' feature that is essentially just an extension of the Freezing Wilds feature. You can turn any symbol Wild at any point but you must remember that this will cost you and make your bet higher. 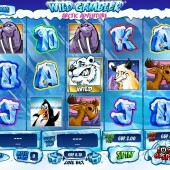 Wild Gambler: Arctic Adventure is one of the more innovative slots out there. It is a step in the right evolutionary direction after the original Wild Gambler and the Freezing Wilds really give you the feeling that you have more control over your fate. 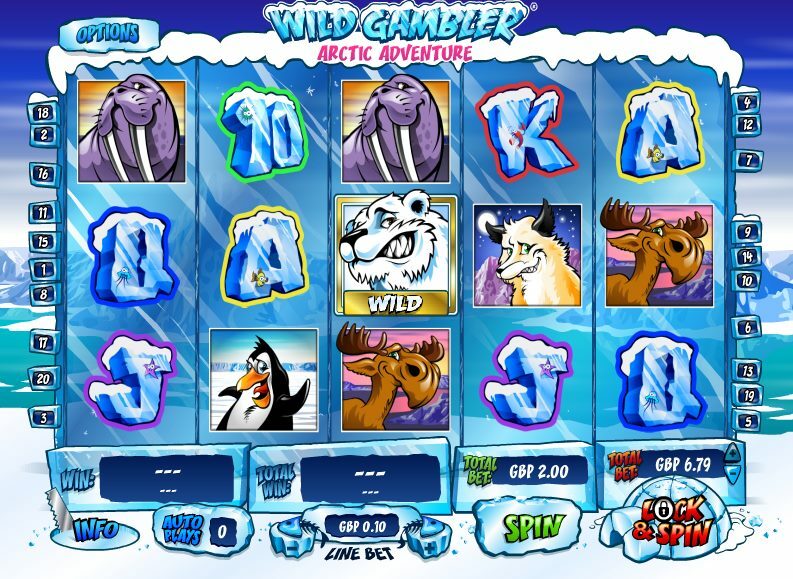 If you are a fan of the Freezing Wilds you might want to check out Playtech’s Mr CashBack slot and for an extra taste of the Arctic ice you should give Microgaming’s Arctic Agents slot a try.